90W high-power mobile phone jammer has 6 frequencies settings. 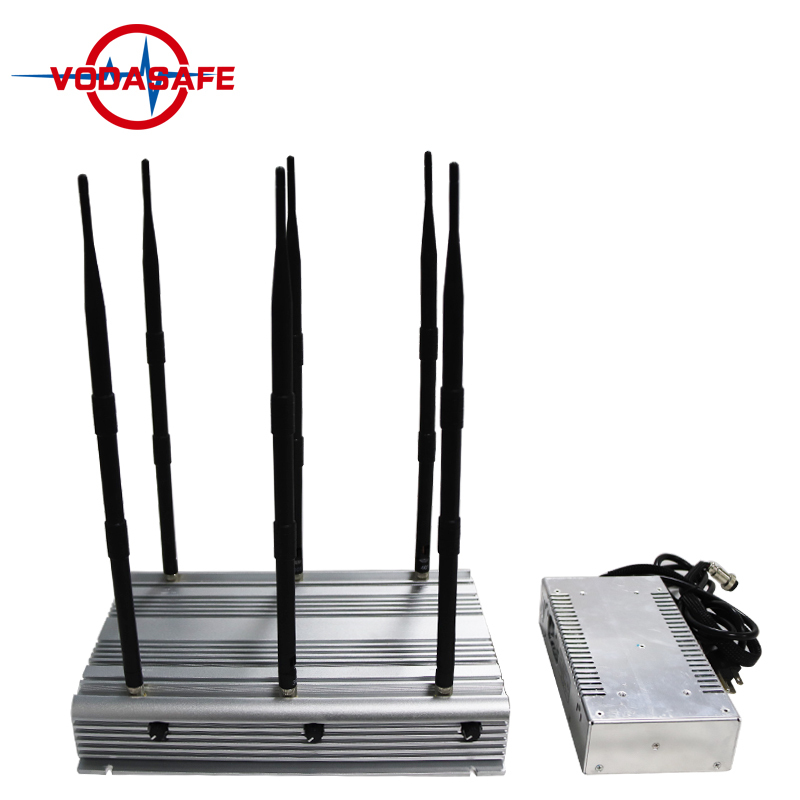 The shielded objects are generally phone and wifi network/GPS signals. 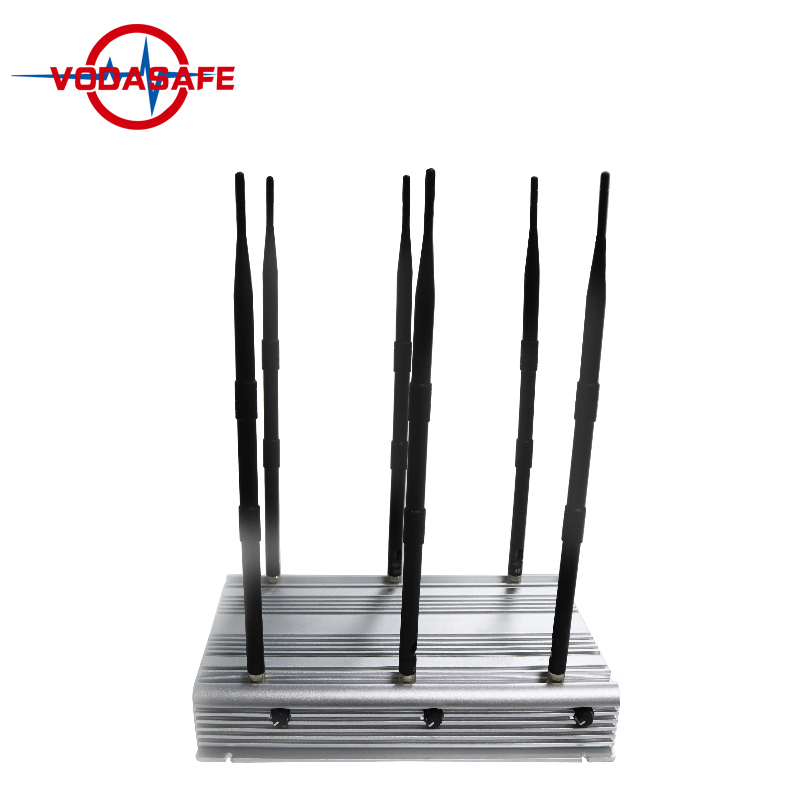 The frequencies can be customized according to requirements. 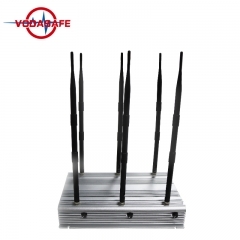 High Power Vodasafe stationary jammer X6plus is our profressional jammer. Can block larger range is best using in rooms or vehicles. 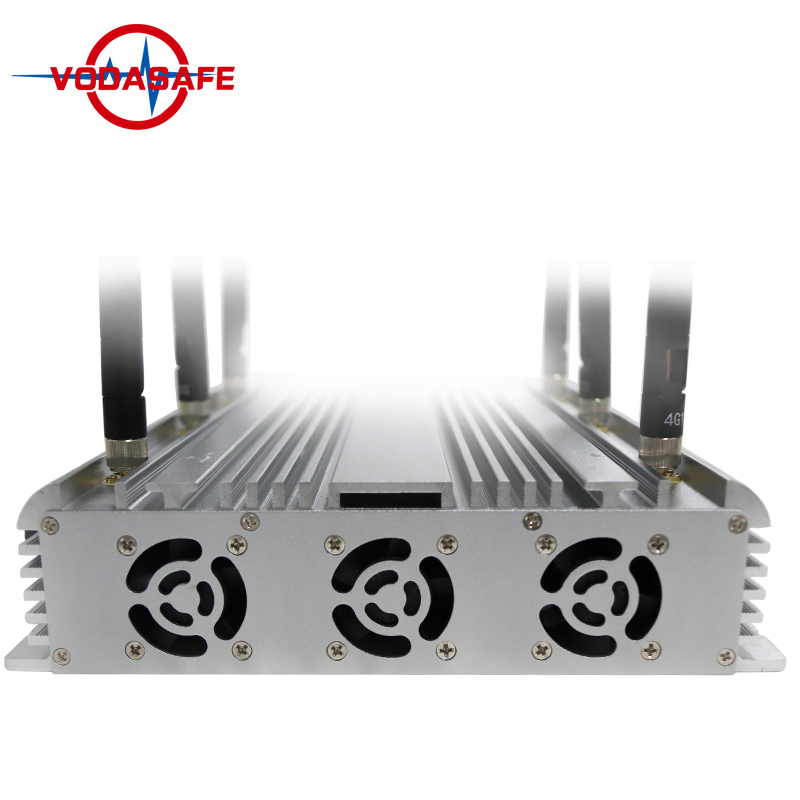 X6plus can Jamming all types of wireless devices, such as mobile phones, walkie-talkie GPS Tracker, Lojack, Wi-Fi/Bluetooth etc. Create a “prohibited” area with a radius of 100 meters for all wireless devices, in the coverage area.They will not be able to send messages, answer calls and they will lose the ability to access the Internet. With a car power inventor and very convenient for using on vehicles. 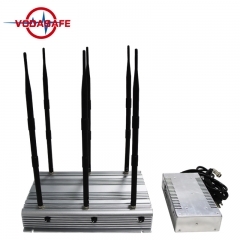 Jammer can be used to block the cell phone signal in the churches, museums, movie theatres or during the important conference in a meeting room to avoid the leakage of secure information, in classrooms during the exams, courts, hospitals, banks, recording studios or other crowded places where the usage of mobile phone is prohibited factory, bank, train, car, bus etc. 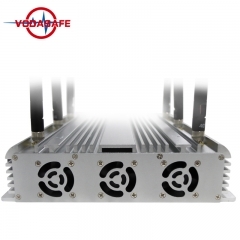 Cover Radius:Up to 100 meters radius (Signal≤-85dBm),the coverage range depends on the strength signal in given area. 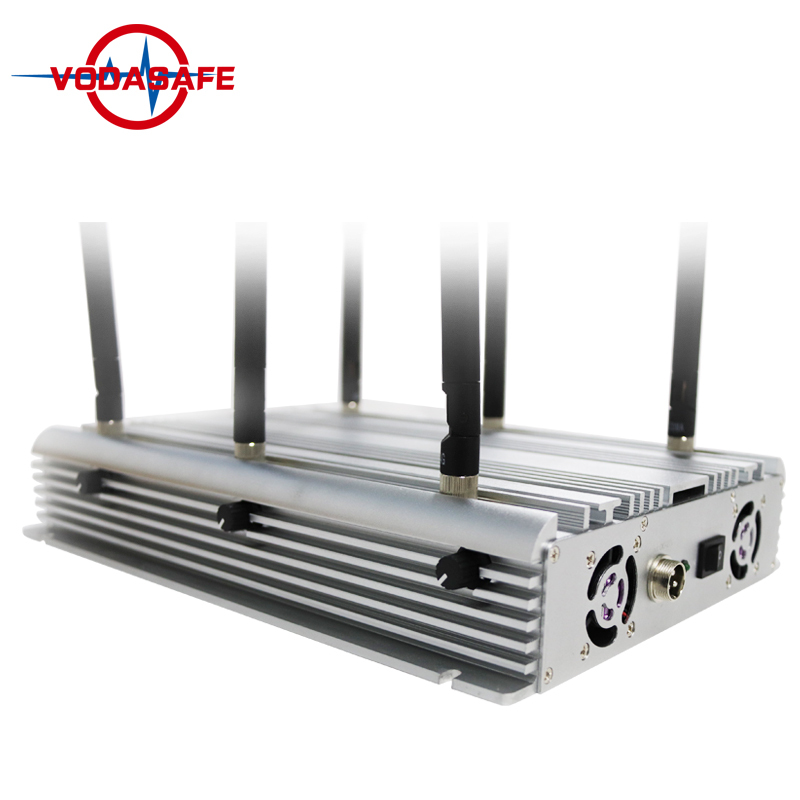 The shielding radius of VHF/UHF signal should be lesser than cell phone signal. Adjustable Switcher: Finding the adjustable switch of system’s to adjust each bands RF power output level or turn off without influencing the other bands operation. Use directional antenna the transmit antennas should be put at the edges of shielding area as below shown. 1. Before linking all the antennas, power supply shall not be switched on at first. Non taking off antenna when the mainframe is in the working condition. 2. The jammer shall be installed in the position with good ventilation. And large-scale things shall be avoided to ensure to the shielding effect. 3. When use the jammer outdoors, preventing water shall be taken into consideration. 4. Antenna shall be used Vertical to the ground. 5. 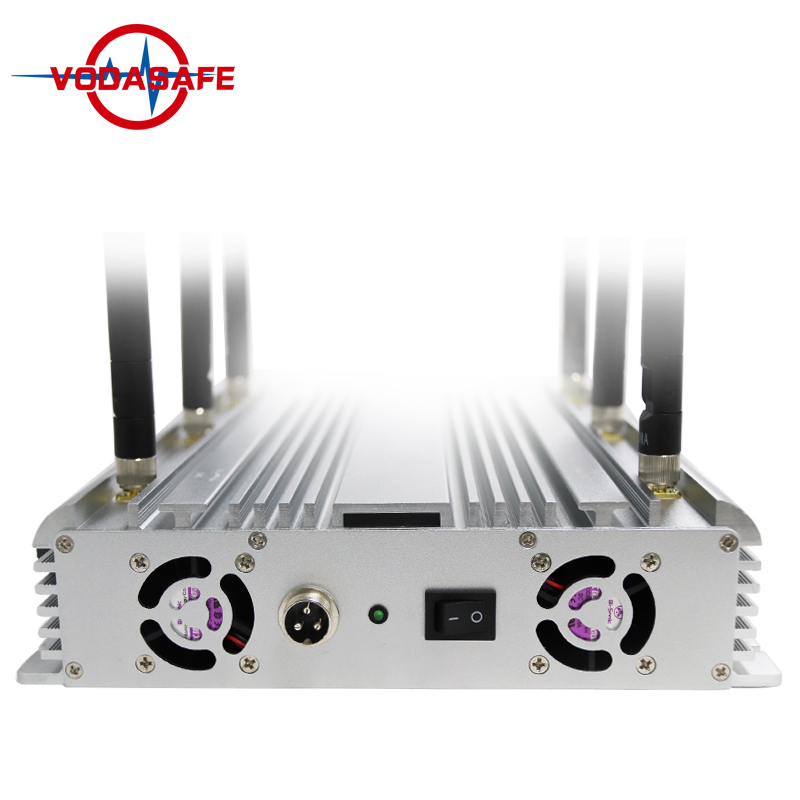 If you used in car, please make sure the car output adapter is DC27V, this device only can be working on DC24-27V, the output power of storage battery is 350Watt. America Type frequency for United States,Canada, Mexico,S. America. Europe Type frequency for Europe, Asia, Australia, Africa.